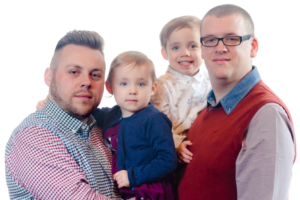 Gary and his husband Matt became parents to twins three years ago after treatment at Bourn Hall Clinic and with the help of a surrogate. Verity and Elliott were born after Gary’s sister-in-law offered to carry their pregnancy for them using a donor egg. The couple, who met through their shared interest in amateur dramatics, have a strong family network around them. Matt’s parents live in the next village and Gary’s parents recently relocated from the Lincolnshire coast to live nearby. Matt’s brother and his family also live locally. “We have made a lot of friends with other parents and everyone has been so welcoming,” says Matt. “I have taken the twins to quite a few activities in the area and have got to know a lot of parents who I now see again when I drop them off at preschool. Sometimes when we meet someone new they are rather curious but most people know us locally so this has dropped off. Gary sometimes still finds through work though that when he tells someone our situation he can see their brain processing ‘how did that happen then?’ and wondering if they can ask him questions. So what hopes and dreams do Gary and Matt have for Verity and Elliott in the future? “This might sound very boring,” says Matt, “but we are just like any other parents and want our children to have long and happy lives and do all of the things in life they want to”. Read Gary and Matthew’s original story here. 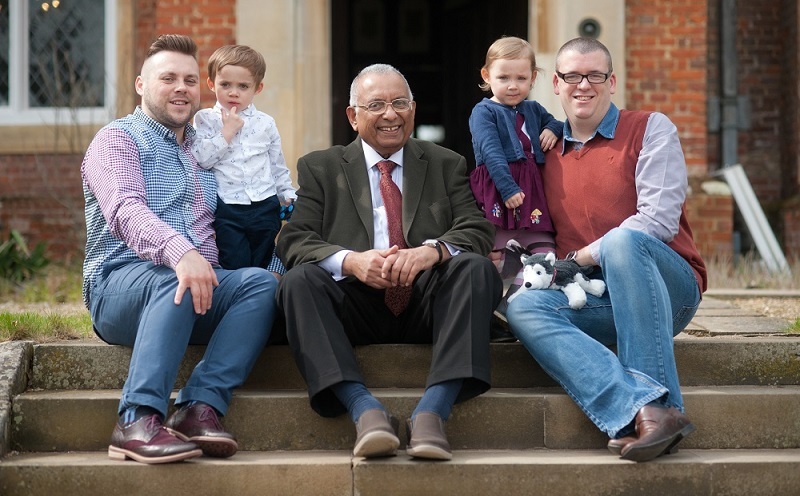 Find out more about Bourn Hall’s range of fertility treatments, including surrogacy, here.